Who isn’t busy these days? Everyone always seems in a constant rush to their next appointment, even toddlers. And of course, on our way to those meetings we need to stay up-to-date on our email, share with the rest of the world through Facebook, Instagram and Snapchat, while we also try to catch up on… oh, a new email just came in. In the USA, working harder is the assumed solution for most professional problems. According to Gallup research, the 40-hour workweek is actually quite a bit longer for many of us: 47 hours, to be exact. While on the surface this might seem to make sense (more = better), history teaches us otherwise. Having built Ford Motor Company from scratch, you’d expect Henry Ford to know a thing or two about business optimization. It was none other than this great industrialist himself who figured out -- in 1926 -- that a five day, 40-hour workweek was better for long-term productivity than non-stop work. 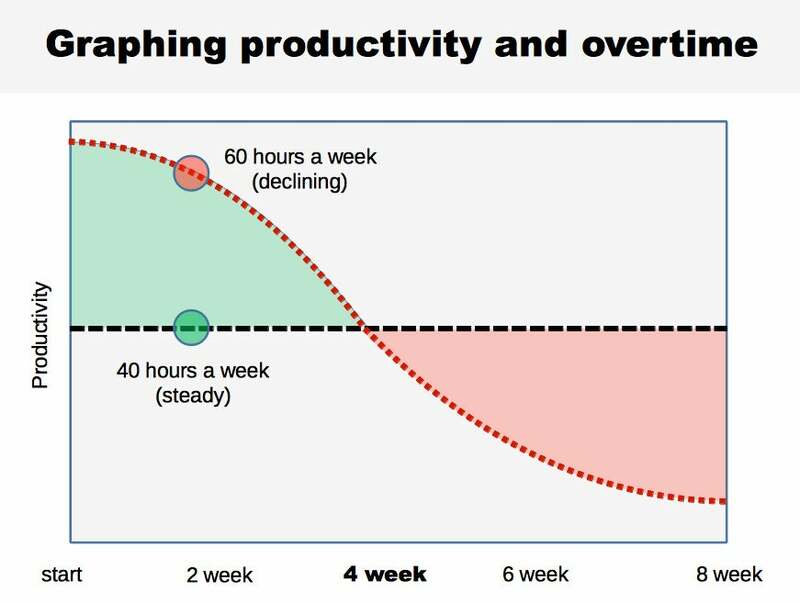 If 40 hours per week is the sweet spot for people doing physical work in a factory, could it really be that constant work is the way to go for those of us with creative, white collar and “office” jobs? Working smart. While the violinists spent the same amount of time practicing each week, the elite performers used that time strategically, to specifically work on their weak spots (something called deliberate practice). In other words: they worked smart. Leisure time and sleep. The best worked in two clear “sprints;” one in the morning and one in the afternoon, while the average players spread out their practice across their day in little chunks. There is more to these results than meets the eye. While our stereotype image of elite achievers is probably one of chronic busyness, the opposite is often true. The handful of truly successful people I happen to know personally -- individuals who are not only at the top of their game but also seem to be happy and satisfied -- do not live in a constant race of overpacked schedules and endless meetings. Instead they are calm, take time to think and don’t stretch themselves thin. The same was true for the violinists: the elite players enjoyed their leisure time and slept an hour more each night than the average musicians. Looking at my own experience over the past 12 months, I’m starting to believe success might be a result of being less busy. While I’m not yet to the level of success I’d like to achieve, it has definitely not been a bad year. We’ve made lots of progress with Saent at quite incredible speed, and personally, I’ve probably never been more happy, relaxed and healthy. Most importantly, I’ve never before been so not busy. 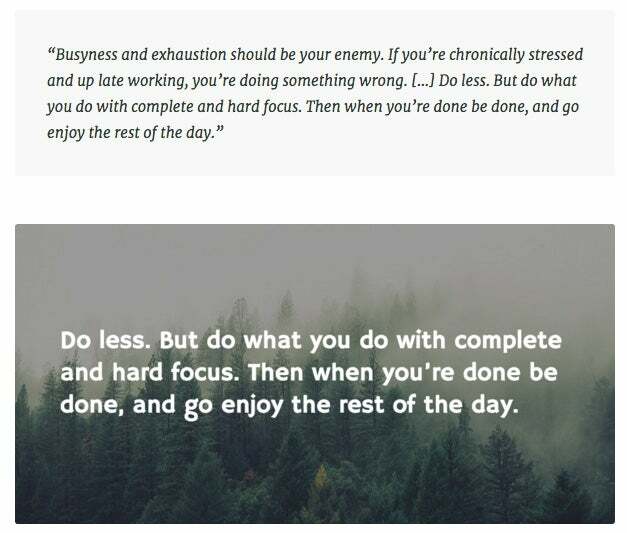 What does not busy look like? Anything that is walkable in approx. 30 minutes, I walk. This means I’m spending on average an hour per day as a pedestrian. I hardly ever work for more than three hours in a row, with little breaks every 50 minutes and considerable pauses (one hour or more) between those three hour stretches. I’m reading lots of books (and summarize the non-fiction ones); about one each week. In fact, I’m starting every day with at least half an hour of reading and hope to increase this further, closer to Warren Buffett levels one day. I hardly ever run for the train or subway anymore; there’s always the next one. This might sound crazy, but it puts me in a calmer state of mind across the board (or maybe I’m just crazy; it is definitely a possibility). I’m playing a game of chess almost daily. I meditate regularly (few times per week) and take occasional naps in the afternoon. I sit down to listen to music at least once per week for 30-60 minutes, doing nothing other than just listening. 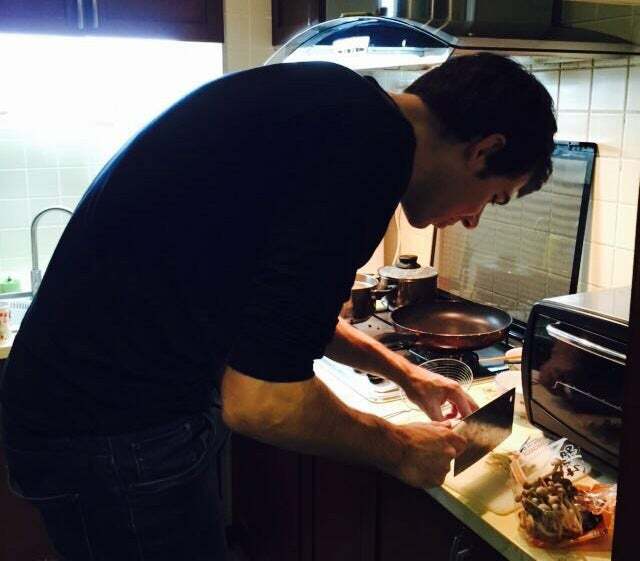 What “not busy” looks like for me: Taking the time to cook a meal. This not busy lifestyle takes up considerable amounts of my available time. In fact, it leaves me with only about 35 effective hours worked each week (on average). To put that in perspective: before starting Saent, I used to regularly pull in 45 – 50 hours of actual work each week for years on end. Nevertheless, I don’t think I’ve ever made as much progress as I have over the past 12 months. And this is where the elite violin players come back in: my rhythm is now similar to theirs. Instead of working in little, half-hearted chunks throughout the day, I work in a few very concentrated, high energy and high focus bursts. This ensures that every time I do sit down to work, I have very deliberately thought about what I’m going to work on next and consistently pursue the truly important stuff on my plate. Over time, this deliberateness and peace of mind builds up into a strong foundation: You’re working on more of the right stuff and what you do is of better quality. Perhaps the hardest change of all is being realistic about my own ambitions. Most people seem to think you should manage a full-time job, have kids (or party like a rockstar), play sports or work out, have an active social life, stay up-to-date on all the latest TV series, read books, study something, perhaps start a business on the side, meditate, earn that promotion, and of course, be active on Facebook, LinkedIn and perhaps Instagram. All of this then gets topped off with a constant barrage of emails and WhatsApp messages. Phew! Don’t get me wrong: I think it’s admirable that we human beings even consider undertaking such an endeavor. But what are the odds we can enjoy any of it, let alone be successful at all of these things? Most people I know feel guilty for not being able to pull it off. Their solution is usually to work even harder. Get up an hour earlier, work evenings, work weekends, work during Christmas. I’m learning to lean on a helpful paradox instead: When you have less time available for work, you have to make better choices about what to work on (and what not not to). Anyone who’s recently become a parent seems to be able to attest to this. It forces you to think like an essentialist and only do those things that are truly important, not all the other stuff that normally fills up your calendar. Not being busy requires saying no a lot. Commitments we can’t fulfill degrade the quality of everything we’re doing, as none of them can get our full attention. The key, therefore, lies in making hard choices, setting limits and understanding that we can’t do it all (and that’s OK!). It means first deciding what is truly important, and how much we value things like money, health, recognition and having fun. There’s no wrong choice. But pursuing all of them is a recipe for disaster, which is what most of us try to do. It won’t be easy. Saying no is difficult. Not being able to decline requests for our time is probably one of the main things that got most of us in this out-of-control-busy situation in the first place. 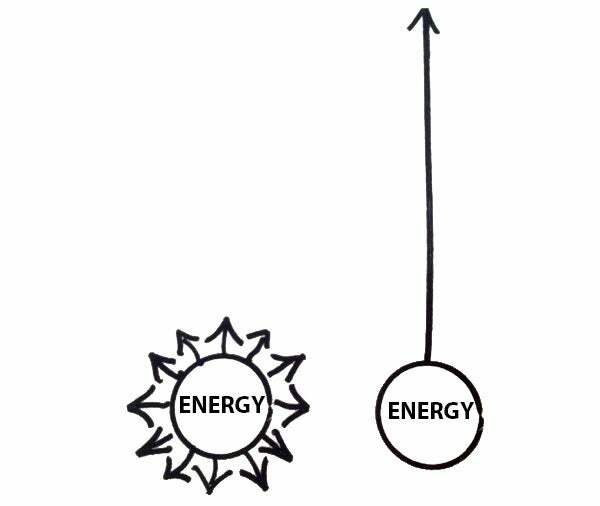 Read Essentialism by Greg McKeown. You will not regret it. Use Warren Buffett’s 5-step process for prioritizing. Go through and do the exercises in chapter 11 of the book Unlimited Power by Anthony Robbins. Prioritize activities that reflect a less-busy lifestyle; walking, reading, not running for the train, and so on. While these might sound like superficial steps to take, they will put you in a more relaxed mindset, which trickles down into other areas of your life.